Keith Brazier on site at the factory. The Xeric Ltd team are well-known in the industry for providing high-energy drying and pest elimination services, but now they can add a new service to their resume. On a recent job in Preston, their heating equipment was used to rescue valuable materials that would otherwise have been written-off! 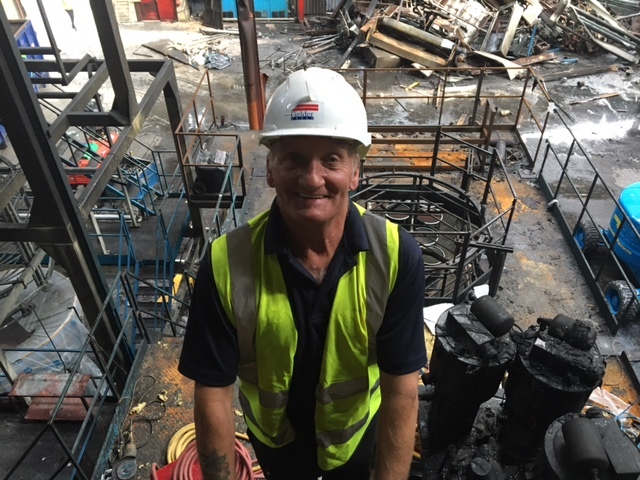 The team were tasked with applying heat to an industrial resin tank, which had suffered a loss of power following a recent fire. The tank’s contents had solidified during the break in power, but the team rescued the tank and the resin with their specialised heating equipment, changing the viscosity of the resin and therefor allowing it to be removed. I’ve got to say that John presented himself very well in front of the client and H & S Manager today. Unbeknown to most people, there was a guy on site, dressed in overalls and wiring up the heaters, who is actually a Company Director, and he also appreciated John’s ‘Can do’ attitude. From my experience, your team is second to none. We have a fantastic team of highly trained staff. They travel all over the country at a moment’s notice, often assessing jobs as they arrive, so I was delighted to hear we not only solved the issue, but that our staff were recognised for their professional attitude. For more information about Xeric and the services they provide, please visit the Xeric website, or get in touch.